“I didn’t know it was morning,” Henry said as I raised the blinds in his hospital room. “How did it get morning?” he asked. He looked out of the window, his arm held straight, but at an odd angle by its IV splint. “I can’t count all the snows,” he replied as his eyes darted from heavy flake to flake melting just above the labyrinth of the hospital’s lower roofs. My eyes felt like someone had rubbed them with sandpaper. Less than twelve hours before, in the ambulance ride from one hospital to the other, I tried to count the number of his hospitalizations, the nights I’d slept beside his isolette, in his hospital bed, or not at all. I lost count after fifteen. But this is not that sad story. There will be sad (and happy) stories to come, and more nights to spend in his hospital rooms. That’s life with type 1. Instead, this is a story of advocacy; there’s power in knowledge. Tummy bugs can be dangerous with type 1 because ketones develop quickly, while blood sugars often drop. As if this weren’t complex enough, the nauseous person can’t keep anything down so it’s dangerous to give the insulin and fluids needed to clear ketones. If ketones are high enough long enough, then DKA develops. Thankfully, an IV with a sugar drip is a simple solution. This time, it took two hospitals, an ambulance ride, and eight attempts to start his IV. Early in the morning, on the pediatric unit, his ketones moved from large, to small, to trace, and we took a deep breath, once again witnessing the “difficult magic” of diabetes. I watched Henry sleep and thought of the tense moments last night as the sixth or seventh person dug in his hand, searching for a vein while Henry cried out in fear and pain, his blood sugar teetering at 68 and large ketones, the blood work showing that he was becoming acidotic, the well-meaning medical staff, whose experience with type 1 was nascent. Outside, the first flurries of snow were falling, after a warm and protracted fall. Finally, the season’s cold was descending. In a few hours, we’d be on our way home from the hospital with another reminder that type 1 diabetes is a balancing act between highs and lows, too much, too little,—an emergency and the everyday. Tomorrow it could dip into the 30s. I’ve been watching the weather for a couple of weeks, expecting the first plunge into freezing, so I switched out the kids’ clothes from summer to winter. And like usual, I discovered they outgrew most everything from last year, which is how I found myself in Target this weekend, shopping for boys’ pants by shoving my hands down the front pockets. Hands deep in a pair of cargo pants, I became acutely aware of side-eye from a fellow parent and shopper. Along with side-eye, color and style are the least of my concerns when it comes to shopping for clothes for my six-year-old son with type 1 diabetes. Instead, I search for deep pockets that will hold his insulin pump and a flexible waistband that won’t pull a site out from his backside. So there I was, innocently shopping for pants, when I found myself in a d-mom (mother to a person with diabetes) moment. Honestly, these d-mom moments are pretty routine, appearing like little blips on a radar; some are even funny, but others break my heart all over again. Here are a few cumulative and recent d-mom moments. When my son is grumpy, mean, or angry for no reason, I automatically check is blood sugar before I do anything else. I can count the times I’ve slept through the night the last two and a half years on one hand. I accidentally sent a text intended for my husband to the school nurse. I say my son is high in public. I have a mental rolodex of carbs memorized. This makes me very unpopular at parties. I’m less patient with willful ignorance than I use to be, but I’m more patient when it comes to failure. Today my son was on the low side, and he took some pop corn out of the bag I was holding (and eating from). It occurred to me that we’ve never really shared a snack like that. Most of his food is weighed or measured, not eaten out of a package that contains multiple servings. Every day diabetes takes up time, sometimes literal hours are sucked away battling new insurance restrictions or stubborn blood sugars and ketones, but paradoxically, it’s also forced me to exist in a tiny moment, like after I’ve treated a really low blood sugar. Henry and I lie on the couch, waiting to recheck his BG, and when he feels better, he tells me about this new movie he’s writing. It’s called “War of the Stars,” (I suspect some copyright infringement), and there’s these two characters called Citeloneum, he’s the goody guy, and Vitloneum, he’s the bad guy. Citeloneum has a site because he has diabetes. When scrolling through social media, I sometimes pause on those sped up cooking videos that require a few ingredients. Usually, I’m appalled, and think that the simple recipe made from processed food is all that’s wrong with America (I’m thinking of you, S’mores Dip and Donald Trump). However, other times I decide to try the recipe, which is the case for Cheesy Zucchini Sticks, featured on Buzzfeedtasy’s Instagram. Of course, people with type 1 can eat anything they want. However, it can be easier to manage blood sugars if fewer carbs are consumed. There’s a controversial method of type 1 management called the Bernstein method, of eating few to no carbs, which would require less insulin. Dr. Bernstein was diagnosed with type 1 at the age of 12 in 1946, when outcomes and control were not good. He’s now in his 80’s, living proof that his method has worked for him. While we don’t use the Bernstein method, I do cook some meals with the objective of decreasing the carbs we consume. Last week, I decided to make a summer vegetable soup and Cheesy Zucchini Sticks. I knew Henry would love them, but his bread, pasta, couscous loving sister would not. Please take 57 seconds and appreciate the aforementioned sister as a toddler who could not eat an entire Bing Cherry purchased roadside from the farm where it grew, still warm from the California sun that nourished it. So some clever rebranding was in order. I called it “Garden Bread.” The rebranding worked at first. Matt, known zucchini hater since childhood, ate three pieces. Ava, cannot eat a cherry (or any other fruit or vegetable) to save her life, gobbled down one piece, but slowed and then stopped when she spotted “something green” on her second piece. Henry and I ate the rest. It was neither bread nor zucchini, but it was a flavorful low-carb accompaniment to our meal. Next time, I’m peeling the zucchini first, to take care of the “something green,” but it’s back to the drawing board for names. Henry’s recent love of Angry Birds Star Wars on his iPod and the curvy roads back East let us know that he gets car sick. About 40 minutes into our 571 mile trip back from the beach, (which should take about 9 hours) he began to feel sick. Car traveling jacks up Henry’s blood sugar, so to compensate, we increase his basal temporarily to deliver 80% above his normal basal rate, which usually keeps his blood sugar between 80 and 150. However, one look at his continuous glucose monitor (CGM) told me his BG was falling. I tested his blood for the glucose level and ketones. His blood sugar was 62 and he had moderate ketones. We’d entered the terrible T1D paradox of nausea. Insulin and fluids are what flush ketones out of the system, but with a low BG and a sick tummy, it’s difficult, if not impossible, to take in or keep down carbs so that insulin can be delivered. I climbed to the back seat and canceled the temporary basal increase. I coaxed Henry to eat or drink any carb he wanted, but apple juice and Airheads made him gag. We pulled into a gas station, and after some really dramatic moments, he managed to swallow a Dramamine with some apple juice. We walked around, and I panicked purchased a number of candies that came in a gel form, a sleep pillow, and a roll of paper towels. Within half an hour we were back on the road, two arrows up on the CGM, Henry drinking sugar free liquids, insulin delivered, and ketones gone. It took a while before he felt like eating, but when he did, we stopped at a place Henry named. When it came time to place his order, big tears welled up in his eyes, and he said he didn’t want to eat there. Normally, Henry loves mealtime, so this behavior threw us. Finally, he decided on a bowl of rice, black beans, chicken, and cheese, and we bolused for half of it. Henry ate half, and saved the rest for later. Later arrived, and we bolused for the rest as Henry grazed in the late afternoon. I watched his blood glucose rise to 200, then 265, then 310, then 381, then HIGH (on a CGM this means it’s above 400). All the while, I rage bolused more insuiln, .5, then .75, then 1.5. I poured on the fluids. With a high blood glucose and lots of fluid, we got to visit no less than 7 gas stations (and a bucolic roadside) before dinner, which we were holding off on until his blood glucose was below 300, so the kids had an 8 p.m. dinner. Recently, we were at the Friends for Life Conference in Orlando, FL, where the closing keynote speaker challenged the audience to think of how diabetes had enriched our lives. When presented with this question, my first thoughts were sardonic. It’s easy to think of all the negative ways that diabetes has altered my life, and most significantly and importantly, my son’s life. However, the easy type of thinking is not very useful. Diabetes is difficult, and demands a complicated response. The way I see my son is beautifully difficult. I see a five-year-old with a generous spirit, a kid who has endured more medical procedures than me, even though I’ve been alive seven times longer than he has. I imagine the courageous person he is already becoming because he has to live with type 1. Diabetes has allowed me see me son, and yes, I mean, “I see you,” in James Cameron Avatar kind of way: a great empathy that is a heart always breaking open to need and contentment. Henry’s starting to realize that his diabetes makes him different. 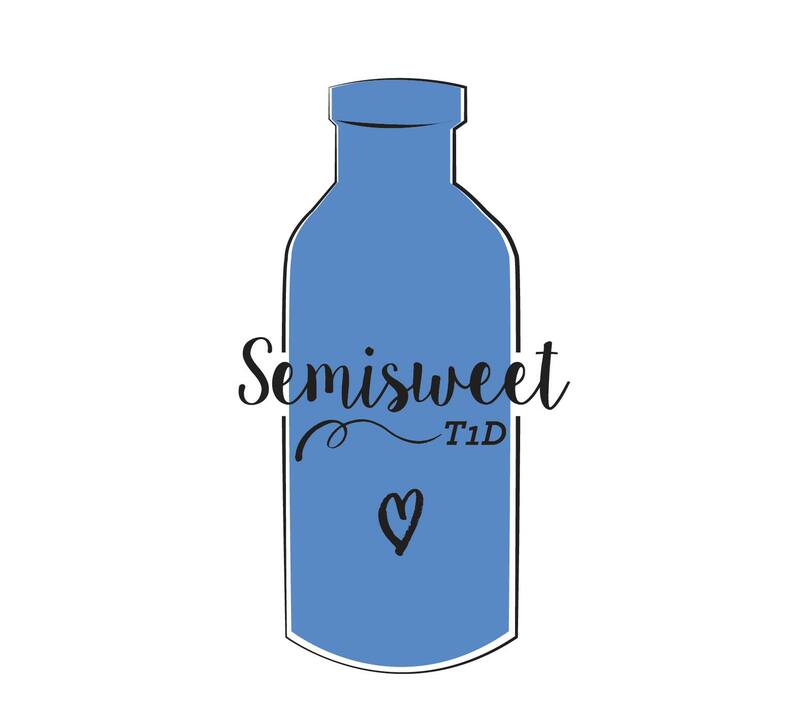 The times when he tells me that he doesn’t like diabetes are hard, and I know it’s imperative for me to be really present in these moments, but my thoughts spill out like paint splatter. Immediately, I think it was a poor decision to introduce candy as a treat for lows. I wonder how we could have been so shortsighted. I think about watching family members who are able to give their kids lemonade, crackers, juice, and candy without a second thought. I’m with Henry, it’s not fair. I think about telling him that candy is like medicine for him, but think better of it. I want to keep as much of his childhood diabetes free as I can. I want candy to be just candy. We travel a lot over the summer, and while staying with family this summer our kids saw real live commercials for the first time. And they wanted Airheads, Fruit Loops, Num Noms, and Mr. Clean Magic Erasers. Thanks to a talk, “Hypoglycemia Prevention and Treatment” given by Gary Scheiner at Friends for Life 2016 we learned about candies that have dextrose, which are a quick rescue for lows, and Airheads just happen to be on the list. We jumped at the chance to hand over candy without consequence instead of chalky glucose tabs to treat our son’s low blood sugars. It’s true that people with type 1 diabetes can eat anything they want to, and we don’t make foods off limits in our house. Instead we practice a little bit of all things. However, bolusing for extemporaneous juice or candy is an exercise in certain failure. Often, the carb will peak before the insulin starts to act, and the sugar burns off while the insulin is still acting, so there’s a high high, then a low. Due to summer activity, we’ve often had to dial back basal and bolus settings. We know certain activities like the beach, swimming, or playing outside when it’s hot are likely to drive Henry’s blood sugar low. In fact, for Henry, lows can come 12 hours after activity. With a summer of beach trips ahead, I rigged up a pretty neat way to keep Henry’s insulin and pump in good working order, and my husband bought lots of Airheads. In fact, he bought every flavor of Airhead, and even doubled up on the White Mystery flavor. Sure enough, our second day at the beach caused a low of 62, which he felt, and uncharacteristically needed a little time from which to recover. With each low, he bounced back, declaring what flavor of Airhead he’d try next. So far, we’ve visited Edisto Beach, SC, and St. Augustine Beach, FL, and tried an orange, cherry, and blue raspberry Airhead. Lots of summer and sugar stretches joyously ahead. I didn’t have time to be nostalgic about my youngest kid participating in Kindergarten Round Up, (a preview of elementary school for preschoolers entering Kindergarten next fall). Instead, there was a flurry of emails to the school administration, nurse, and staff. There were meetings, apps were downloaded, and then the morning of Kindergarten Round Up rolled around. It’s hard to bolus for emotions. Just a quick glance at Henry’s face shows how excited he was, and a quick look at his blood glucose on his Dexcom CGM (continuos glucose monitor) shows how anxious he was to attend the same school as his big sister. Adrenaline is a hormone that’s secreted during stress, and it raises the blood sugar. We’re learning that many things raise or lower blood glucose: a growth spurt, illness, puberty, exercise, emotions, a unicorn jumping over a blue moon after a black cat crosses its path, and just because. And he can spell (and count) to 100. If a blood glucose of 300 is any indication, this kid is excited to go to Kindergarten.